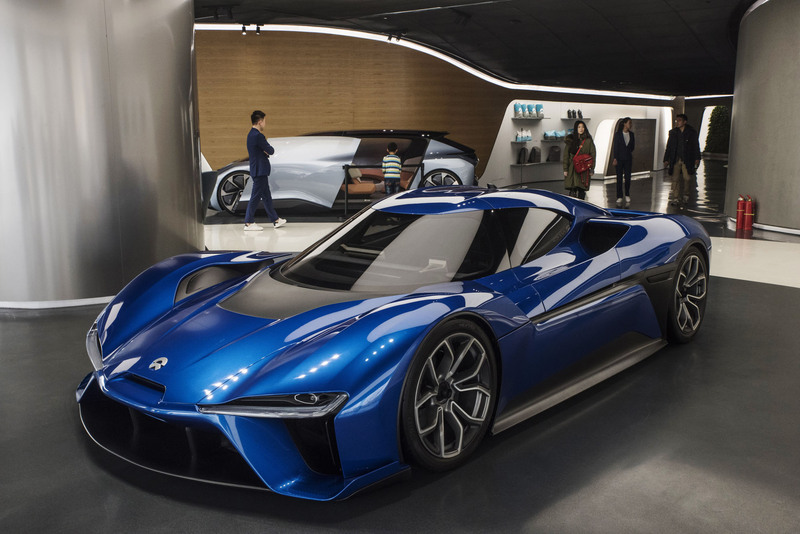 Thirty years on, a new battle between nations in the automobile manufacturing space is emerging, as China in addition to Japan, the United States and Europe compete to develop and sell electric vehicles. More precisely, this competition centers around the development of CASE — an acronym derived from the words “connected,” “autonomous,” “shared and services” and “electric” — technologies. The race is on to determine which country will come to control this new mobility industry, characterized by the production of electric vehicles that are connected to the internet, self-driving and shared. Up until now, the technological impetus for CASE has come from the U.S. — in Silicon Valley. Tesla, run by the extraordinary entrepreneur Elon Musk, has symbolized Silicon Valley’s ascendance in this industry. In terms of sheer numbers, however, China already accounts for a majority of the worldwide production of EVs. Along with the need to reduce carbon dioxide emissions, the Chinese government has identified EV manufacturing as a national prestige industry that could help it to attain the “Chinese Dream.” China could not possibly hope to overtake the U.S. or Europe in the manufacturing of gasoline-powered vehicles. Instead, China hopes to leapfrog over its competitors by pursuing a paradigm shift for the automobile industry. 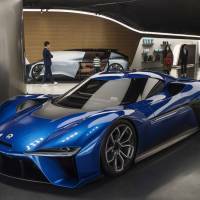 China is also attempting to win over European automakers. Following the diesel emissions scandal, European manufacturers found themselves under pressure to immediately shift their production over to EVs (or plug-in hybrids, known as PHEVs). And China has extended a helping hand: Both Volkswagen and Daimler have announced they will pursue EV development and manufacture as joint ventures with Chinese partners. China wields three types of leverage in the global EV wars. First, there is the power of China’s market. The same White House official told me that after his conversation with Musk he had expected Tesla to lodge a complaint with the Chinese government. Instead, Tesla decided to expand into the Chinese market. Industrial policy is the second form of leverage. The Chinese government has set sales targets for EVs at 1 million vehicles by 2020, and 3 million by 2025. To achieve this goal, Beijing is injecting huge subsidies into the industry and artificially creating enormous demand for EVs. China’s third competitive edge lies in its ability to flexibly manage the social deployment of new technologies. The government actively backs Chinese manufacturers and shares the risks associated with the social deployment of CASE technologies. With the central chapter of the Chinese Communist Party at the wheel, privacy and human rights-related concerns have taken a back seat as the industry hurtles into the future. China’s ascendance in the Fourth Industrial Revolution may well be the result of its “disruption resilience” and “animal spirits” to tolerate a degree of chaos for the sake of rapid progress. Sensing it was late to the game, Toyota announced a genuine expansion into the EV arena last fall. Specifically, Toyota plans to offer an EV or hybrid option for every one of its models by 2025. While the U.S. and China appear to be leading the charge, the EV battle has only just begun. Current consumer demand for EVs has been artificially stimulated through government subsidies. With subsidies in China fixed at their current level, preliminary calculations suggest that if EVs come to comprise 20 percent of new automobile sales, China would pay out an annual sum of ¥4 trillion ($9.3 billion). It is unsustainable. Meanwhile, even Tesla — the pioneer in the EV space — is struggling with its new, mass-market Model 3. Indeed, some in Silicon Valley are beginning to wonder whether Tesla might not ultimately meet the same fate as Blackberry. There is also a need to produce the necessary infrastructure for society to use “connected” EVs to the full extent of their potential. Countries with a competitive edge in infrastructure are better positioned for the EV wars.